Casing completely dismountable to facilitate cleaning and maintenance work; all parts easily accessible: Heat exchanger, motor of the ventilator, connections, etc. 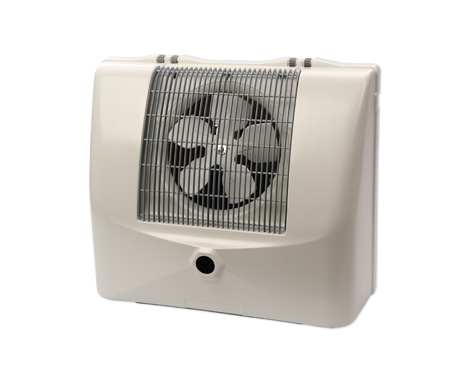 The thermo fans type MR are suitable for the cooling and heating of small rooms (room sizes from 50 to 500 m³) at positive ambient temperatures. 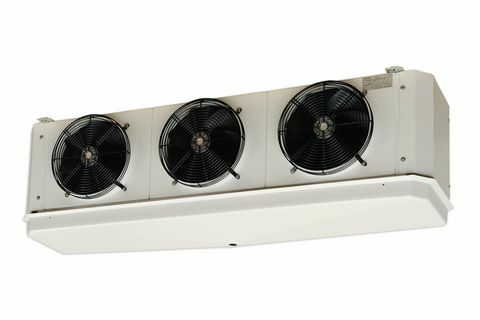 The MR units are available in four different sizes, with performances from 1 to 4,1 kW. 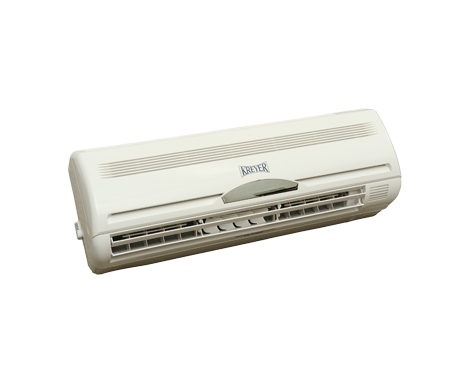 The devices are perfectly adapted for the use with existent chillers and can be easily integrated into the system. The MR is characterized by its easy installation. The casing made of robust, recyclable plastic type ABS treated with acid-proof varnish, and the non-oxidizing components combine to make a device designed to be used in moist surroundings like wine cellars, cooling rooms or store rooms, as well as tasting rooms.